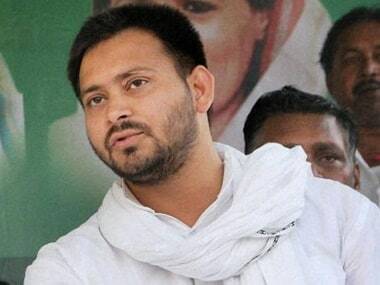 Ranchi: Former Bihar deputy chief minister Tejashwi Yadav on Monday met his jailed father Lalu Prasad Yadav in the central jail for the first time after his conviction in a fodder scam case and expressed concern over the RJD chief's health. "I could meet Lalu ji for only five minutes. Maximum time was wasted in completing formalities for the process," Tejashwi Yadav told the media after the meeting. "We are concerned about his health. This is the reason I came to meet him. He has undergone a heart operation. I enquired whether he is taking medicines on time." The Rashtriya Janata Dal leader also said that the family was in touch with lawyers to apply for bail for the former Union minister. Tejashwi, a former cricketer, arrived in Ranchi on Sunday to meet his jailed father. 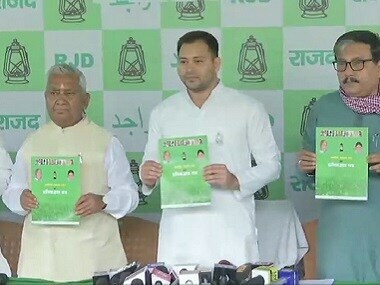 Many RJD supporters were present outside the Birsa Munda jail, though only Tejashwi Yadav was allowed to meet Lalu Prasad. 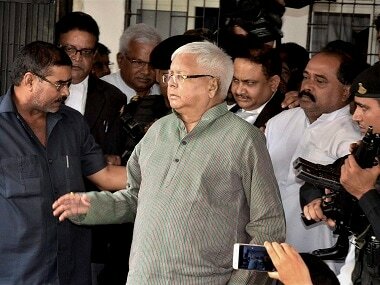 Lalu Prasad was convicted on 23 December last in the second fodder scam related to fraudulent withdrawal from the Deoghar treasury and awarded three-and-half years in jail on 6 January.